Along the Napoleon Route in the Provence, France the scenery is stunning with some of the greenest hills and meadows. 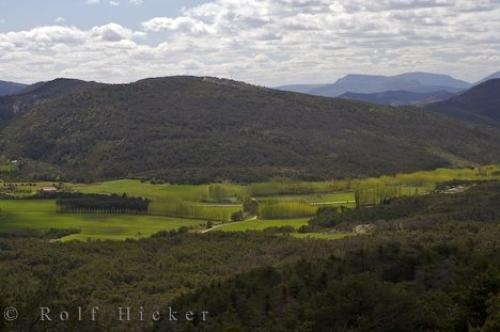 Photo of the scenery along Route Napoleon in the Provence, France in Europe. ... The current Route Napoleon in the Provence, France was first opened in 1932 and before starting you journey just make sure that your gas tank is full.Scenery along the Route Napoleon, Alpes Maritimes, Provence, France, Europe. I photographed this photo with the digital SLR camera model Canon EOS-1Ds Mark II, aperture of f/8.0, exposure time of 1/160 sec. on ISO 100, as always I used a original Canon Lens, the focus lenght for this picture was 70mm.